One of the perks of having a flat is that the height can be above everyone else. When living in flats I have always made sure that I am up on the top or near top floor so I get a view, sadly never had a penthouse though. These lucky people have though and they have kindly posted pictures of their glorious terrace setups for us all to enjoy. A cityscape skyline is what you expect when thinking of a roof terrace and this delivers the skyscrapers and charm along with it. 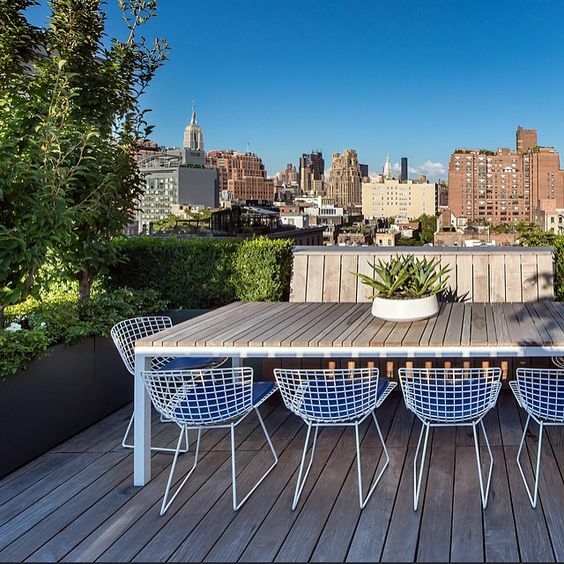 It’s not the tallest but it offers a garden view in the city which is certainly impressive. The little lights help add a bit of bohemian cosyiness when mixed with the rattan furniture as well. 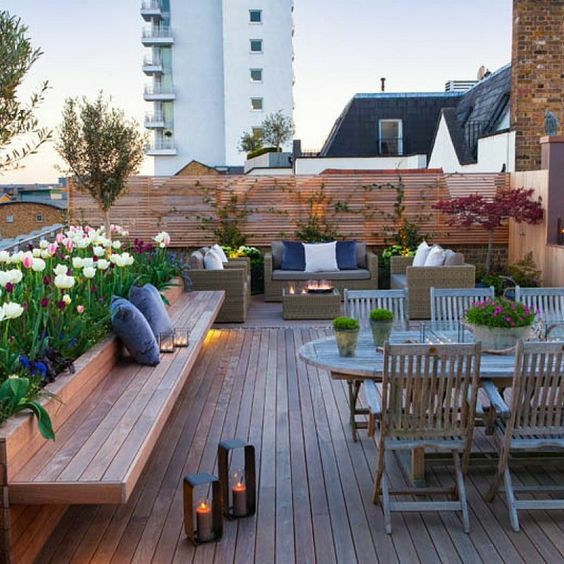 Using wooden tiles this roof terrace have transformed a dirty space into a social and inviting area for the owners to enjoy. 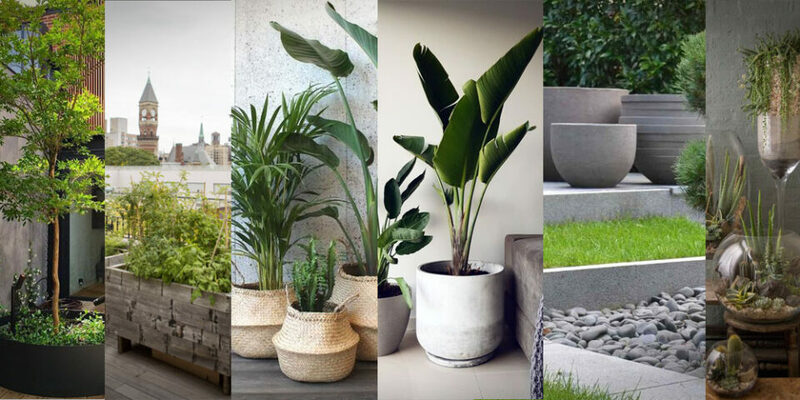 Positioned so the sun shines down on it and surrounded in living plants the feel is stylish and modern. In contrast to the wooden flooring of the above this design has used a theme for furniture and floor of slatted wood and contrasted the lines with mesh furniture. It works and is a good example of how you can use a theme but need to remember that it needs breaking up as well. 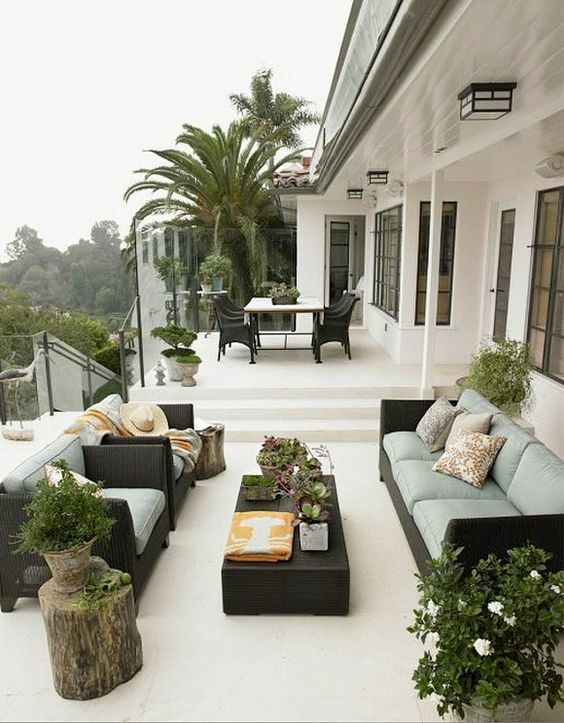 The light outdoor furniture is a nice touch and a change from what can often be quite heavy garden furniture. The simple bowl flower pot softens the table surface and the view you can’t complain about either. This isn’t the tallest of roof terraces but is a good example of an ordinary house that has utilised the roof space and I simply can’t understand why it isn’t done more often. As you can see you gain an amazing space with views and a sun terrace. If the house is big enough then the space may even be able to extend to have a lounge up there. Win all round! 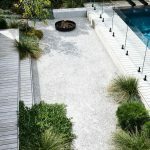 As we go through the variety of garden terraces available here is an example that proves you don’t need massive space to do great things. 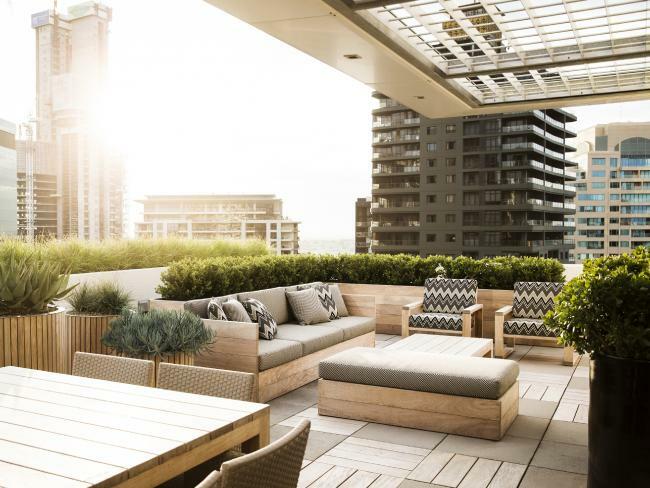 This small balcony has been filled with just enough to make a chill out zone while enjoying a heightened view. 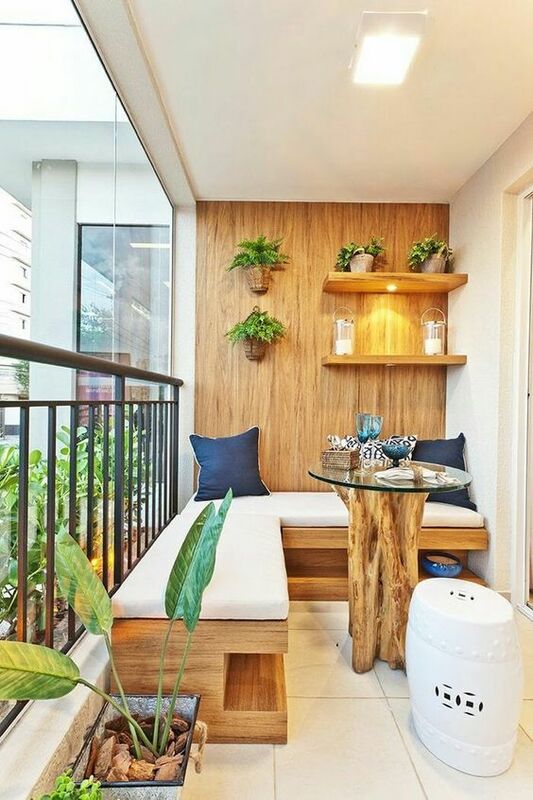 The wooden clad walls brings warmth to the area and ties in the design with the sofa and table. Using a more traditional design this rattan clad garden terrace is a stylish house with a view. 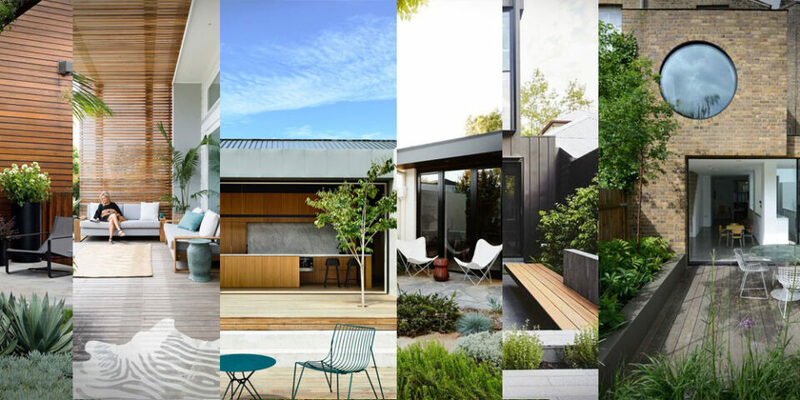 The 2 layer layout gives separation between the different areas of the terrace allowing for social and eating areas. This is a full on garden up high. 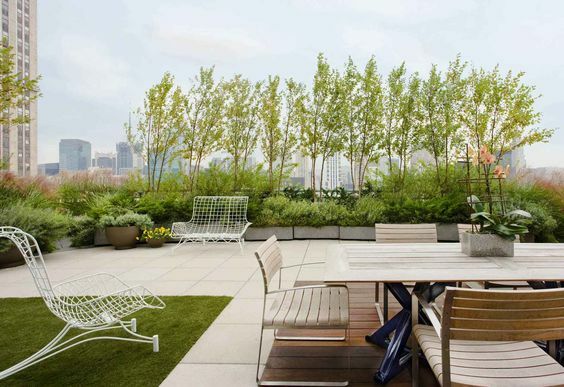 The greenery comes in the form of some nice box planters that line the edges of the roof garden and provide some shelter and privacy from prying eyes in the neighboring skyscraper. Another lower level garden terrace this time adorned with a beautiful array of tulip flowers. 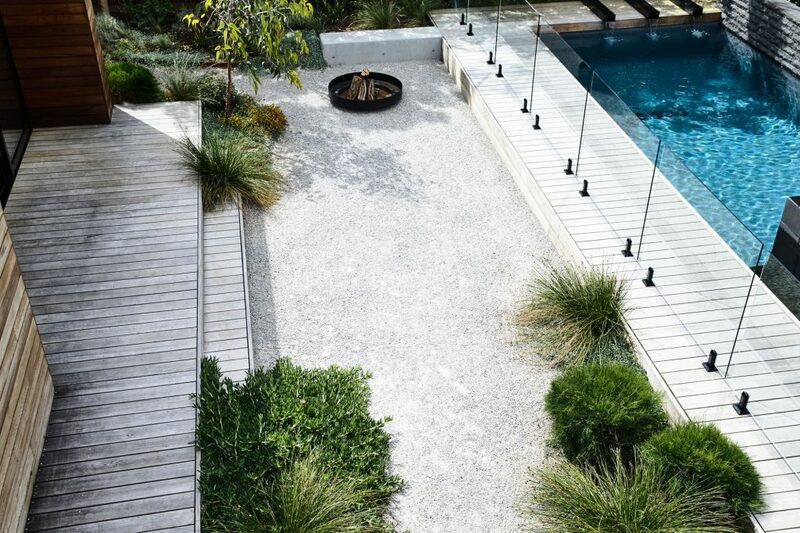 There is a hard wood privacy fence at one end which is an increasingly fashionable choice though depending on the wood can be mega money. The set up here with the candles at dusk makes the terrace look very cosy and inviting, perhaps a good idea for your patio? 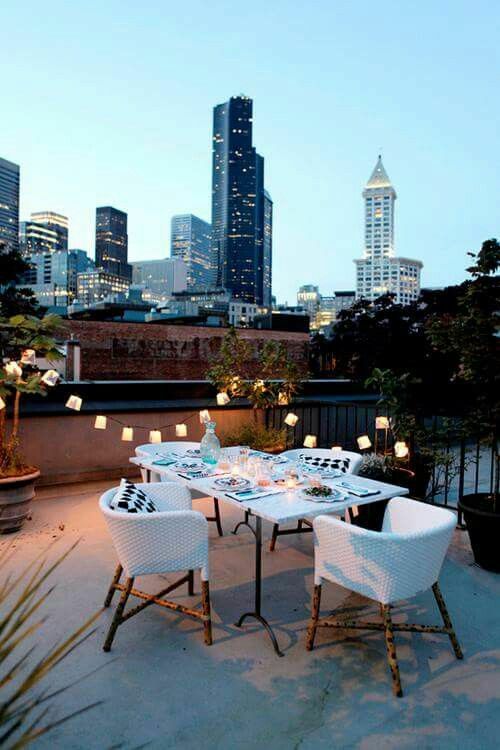 Not all terraces have to be in the city. 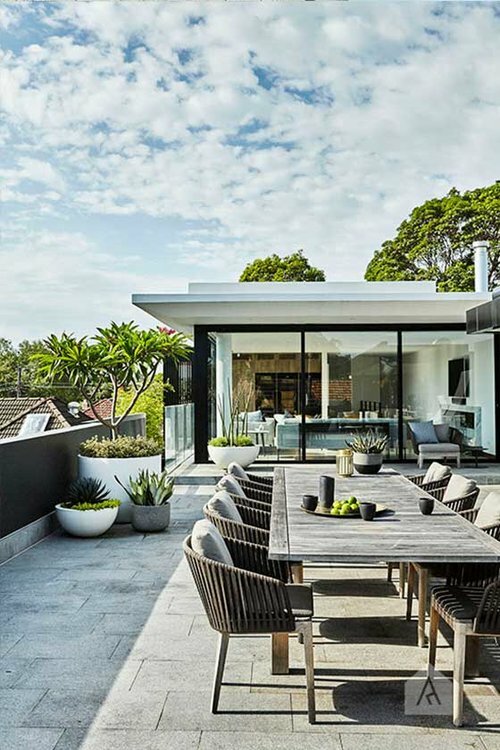 This one has utilised the high roof to give a better view of the ocean and what a view. The sun setting in the corner and the sun loungers set up to absorb the last of its rays. I like the glass banisters that mark the edge of the terrace as they allow more light and view to be seen. 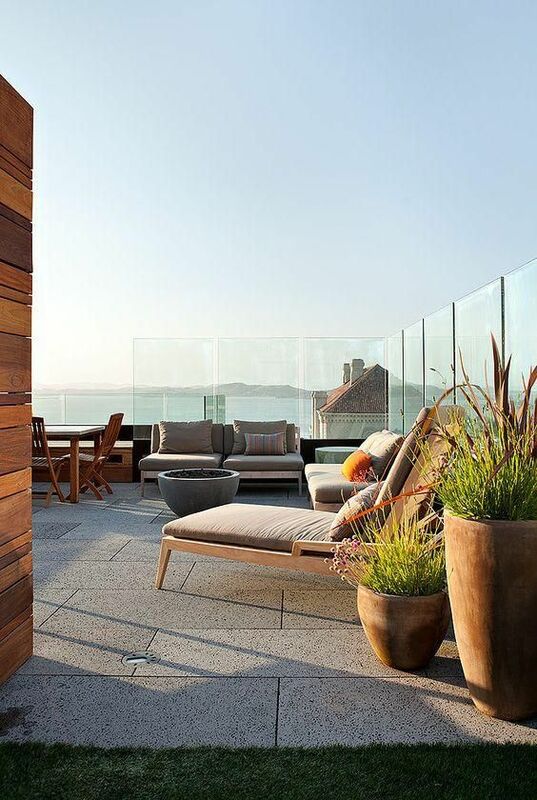 The design of the terrace will fit the brief and here there would not have been a need for privacy towards the sea so glass could make more the the aspects available. Finally one last sea view and quite different to where we started. 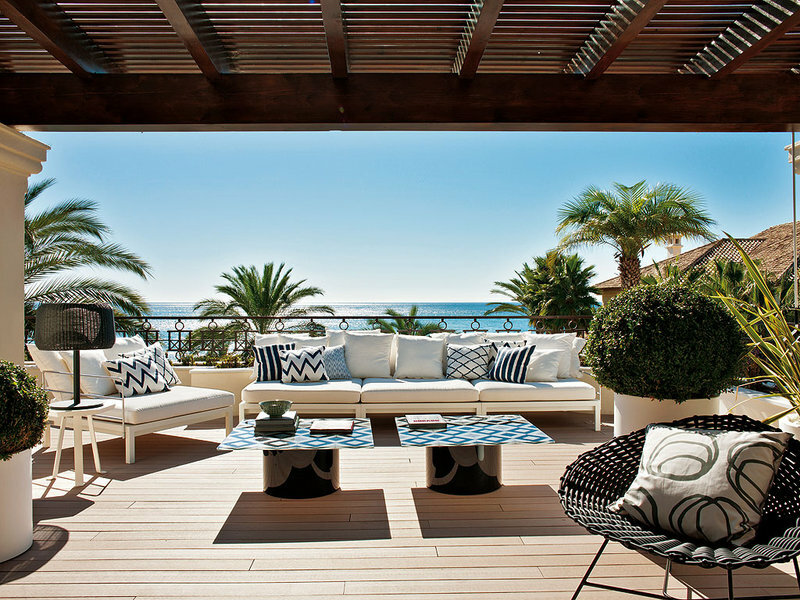 The white furniture and palm trees give a very Mediterranean feel for the entire space that is very inviting. The tiled look for the coffee table is fitting of the environment as well and also reinforces what I said previously about briefs being different.